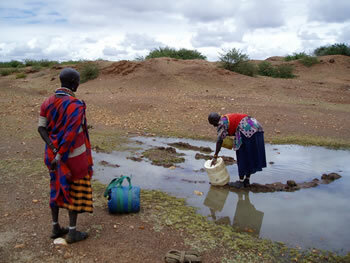 In most places in Africa water availablity is a great challenge for many people. For some communities the women have to walk for over 5 miles to fetch water from dams and rivers. 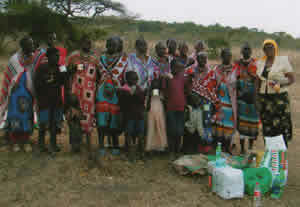 As a minsitry we are committed to alleviating the great burden for some of these communities. 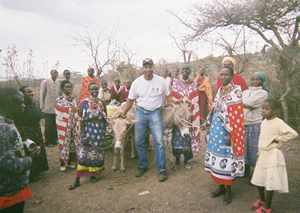 Pastor Lenny Wells during his 2006 Kenya Mission was able to buy two donkeys for the Maasai community in Nairobi, Kenya. 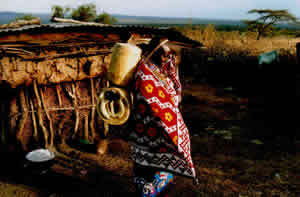 This was a great blessing for the women who have to walk about 5 miles carrying water on their backs from the river.